Looking for a fun gift of chocolate? 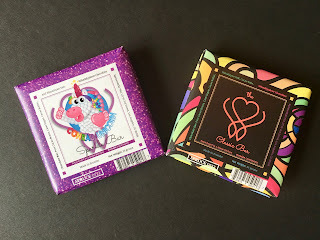 Whaddyalove Chocolate based in Los Angeles is making vegan chocolates with pizzazz! 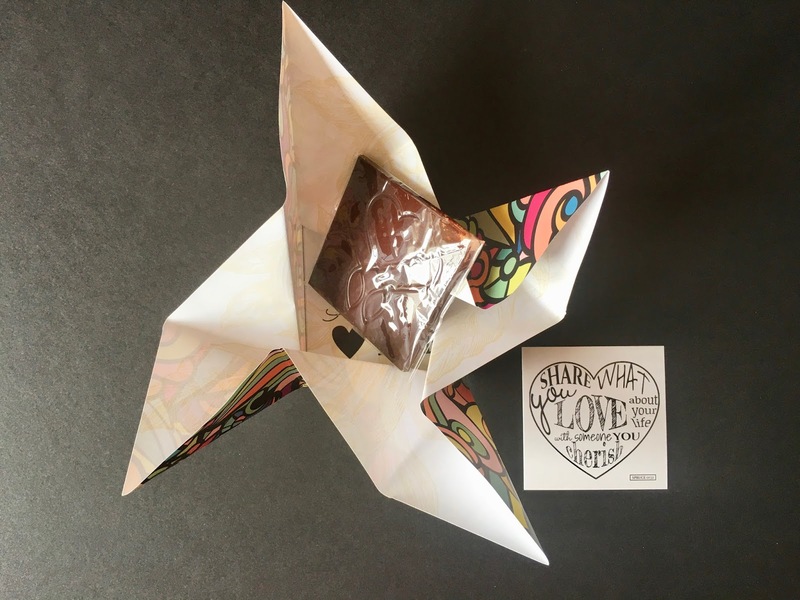 Half of the fun of these bars is in the packaging as they are wrapped with a thick paper with origami folds. The Classic Bar was psychedelic looking and so colorful. And inside the chocolate was made with cacao nibs. The other half of the fun is on the inside. The Sparkle Bar has a unicorn on the outside and chocolate with edible sparkles on the inside. Made with pure cacao beans, cane sugar, cacao butter, and Himalayan Salt, you really can't go wrong with these. These chocolates would make a really fun gift to anyone who is a child at heart. They even come with a card that states: "Share what you love about your life with someone you cherish." So sweet. You can order the bars online for $5.95 each here. Full Disclosure: Although the chocolate was provided to me at no cost to review, that in no way influenced my veracious opinion.